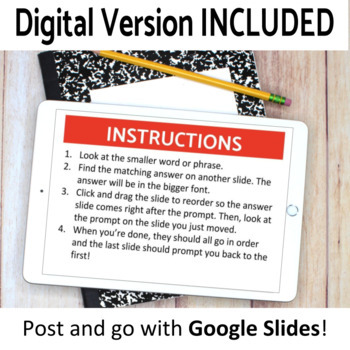 Get your students moving with this activity! 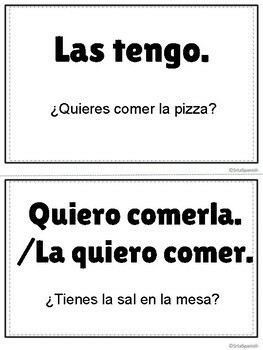 Students answer the prompt, then find the answer around the room. When they find the answer, they go to it, and complete the next prompt, repeating until they have completed the circle! Some students like to race to see who can finish the loop fastest, others work at their own pace. 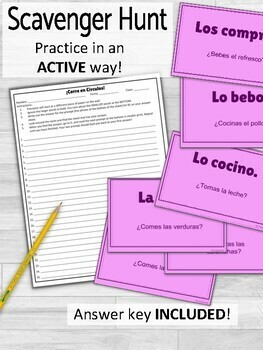 Students can begin at any prompt and practice, checking their work as they go. 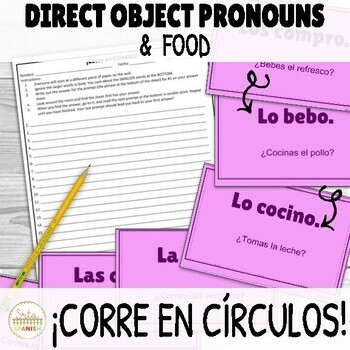 This resource is perfect for practicing present tense, food vocabulary, and direct object pronouns!